Sometimes you just need a little afghan. This project as written comes out long but narrow (ours is about six feet long and almost three feet across), so it's perfect for folding over and lying over one lap, wrapping around your shoulders, or using over two laps. This project uses moss stitch, a simple pattern stitch of four repeating rows. 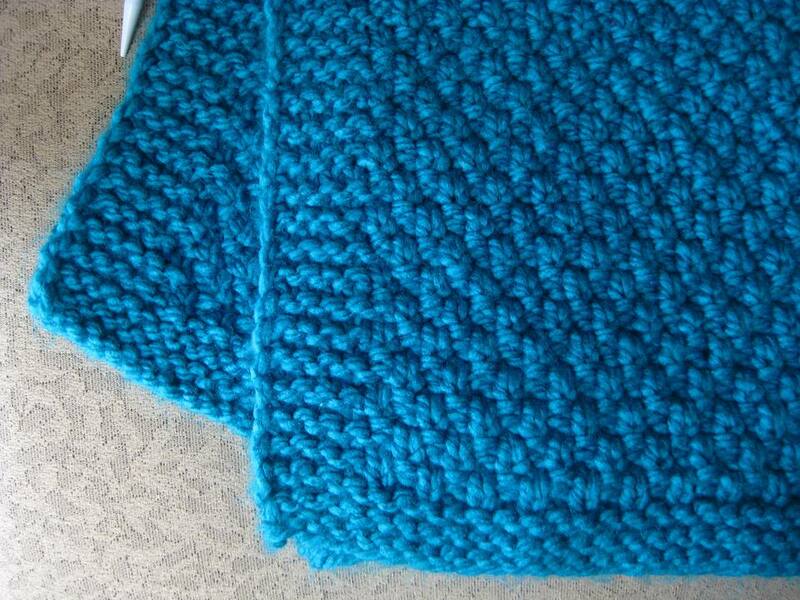 If you want to change the size of this project, you must keep with multiples of two stitches to make the pattern work. Cast on 144 stitches using your favorite method. Do not join in the round. The circular needle helps distribute the weight of the piece. Row One: Knit one, purl one across. Row Two: Knit one, purl one across. Row Three: Purl one, knit one across. Row Four: Purl one, knit one across. Join new yarn as needed until you are close to the end of the final ball. Cast off. Weave in ends using a crochet hook or needle, trimming extra-long ends if necessary. This is an easy pattern to modify because you can make it longer just by using more yarn. If you basically doubled the amount of yarn called for, you'd get a more square afghan. Also, experiment with different yarns to make your own unique afghans. This is such an ​easy pattern you could make several throws in different colors that you could have out in your house seasonally.